Aspect Advisory is proud to recently be announced as the winner of Best in Global Transfer Pricing, Switzerland by Corporate LiveWire in their prestigious 2016 Finance Awards program. Sponsored by the UK Business Circle, the awards program selects winners based on their achievements and strengths in the Financial Services, Tax and Accountancy sectors over the past calendar year. 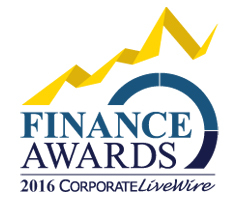 An overwhelming number of nominations were received this year and all winners of the Finance Awards are subject to rigorous assessment criteria carried out by Corporate LiveWire experienced in-house professionals. This ensures that only the most deserving teams, businesses and individuals walk away with one of these prestigious accolades. The soon-to-be published award winners’ guide will be distributed to over 100,000 finance professionals.